Good dental hygiene plays a key role in preventative dentistry, helping you avoid costly appointments and treatments down the track. At Pitt St Dental Centre, our Sydney city dentists and dental hygienists offer thorough teeth cleaning and check ups. Recommended twice yearly, keeping up to date with your check ups and teeth cleaning minimises risks of dental complications and enhances your overall health into the future. Not only essential for a beautiful smile, regular dental check ups help to optimise your overall health and wellbeing. Current research has discovered significant links between gum disease and heart problems, strokes and a number of other illnesses. At Pitt St Dental Centre, our team of experienced and specialised dental hygienists and oral therapists work in conjunction with our talented Sydney dentists to evaluate your teeth, gums, bite and total mouth tissue. We’re able to comprehensively analyse your oral health and make personalised recommendations for preventative care and maintenance. Take an active step in bettering your long-term health and wellbeing by attending regular check ups with the experienced dental hygienists and oral therapists at Pitt St Dental Centre. In between dental check ups and teeth cleaning, taking good care of your teeth, gums and whole mouth is paramount. Brushing and flossing morning and night prevents tooth decay and gum disease while ensuring your oral health is at its best. Our Sydney dentists recommend using a fluoride toothpaste and softheaded toothbrush. Even with regular brushing and flossing, plaque builds up below the gum line and between teeth. Plaque build up results in the formation of bacteria that can lead to dental issues if left untreated. 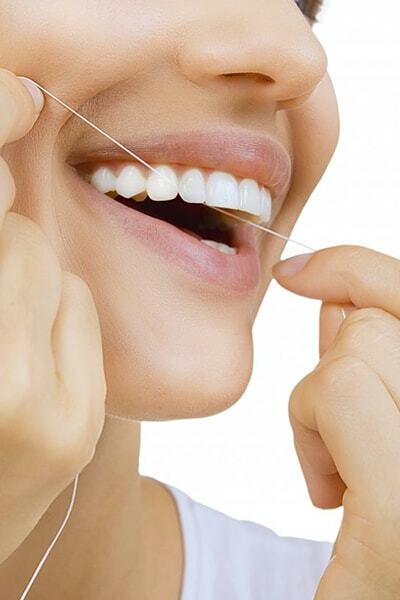 No matter how diligent you are with brushing and flossing at home, seeing a dentist regularly is essential. By attending regular twice yearly check ups, dental hygienists are able to remove hardened plaque through scaling and polishing techniques to minimise risk of gum disease. Restorative services and treatment of dental issues and gum disease is often costly, so preventative dental practices are key to minimising pain, inconvenience and expenses. Pitt St Dental Centre’s team of dental hygienists and oral therapists specialise in comprehensive teeth cleaning and oral check ups. Specially trained to check for periodontal disease and gum recession, our dental hygienists boast years of industry experience. Working with patients of all ages, we provide thorough examinations of your total oral health. Teeth cleaning and check ups at our central Sydney city practice take around one hour to complete. During your appointment, we discuss your dental habits, lifestyle and current concerns. You then sit back and relax while a dental hygienist cleans your teeth and removes build up of tartar and plaque. Following your check up and clean, we provide you with detailed instructions on how to care for your teeth and oral health as well as booking you in for your next appointment. With expertise in teeth, gums and preventative oral health, regular check ups and teeth cleaning with our experienced dental hygienists and oral therapists prevent costly treatments in the future. Avoid expensive dental work and protect your overall health and wellbeing into the future; book twice yearly regular check ups and cleans with the dental hygienists and oral therapists at Pitt St Dental Centre. Based in the heart of the CBD, going to the dentist in Sydney is convenient and hassle free. Book an appointment with one of our experienced team today.